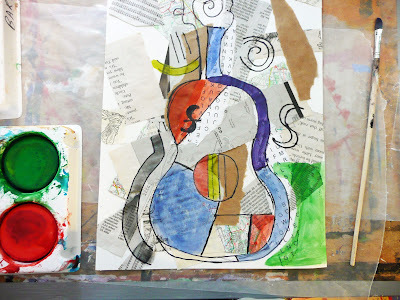 This is a good project to introduce students to both the work of Picasso and collage. 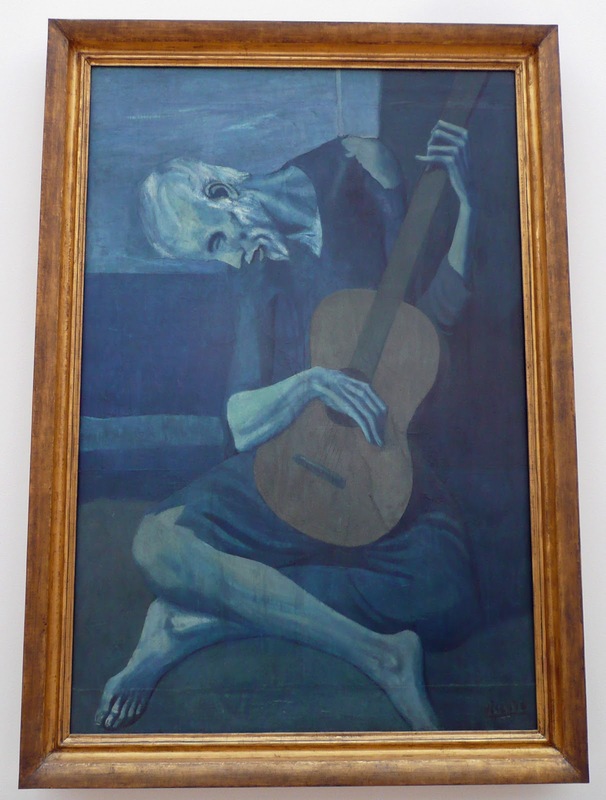 This is "The Old Guitarist" by Picasso, 1903-04, currently in the collection of The Art Institute in Chicago that I took on my recent trip. It is one of his earlier works from his Blue Period. 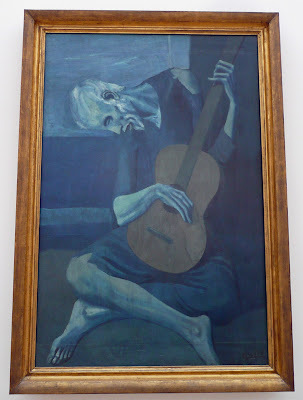 Picasso often used guitars and violins as subject matter is his work and there is discussion on how it was his symbol for a woman, as the guitar/violin shape is very like that of a woman. and here is a painting of his titled "Bowl of Fruit, Violin, and Bottle" 1914 from the Tate Modern that I took in London. Although it is painting, Picasso painted it to look like a collage. 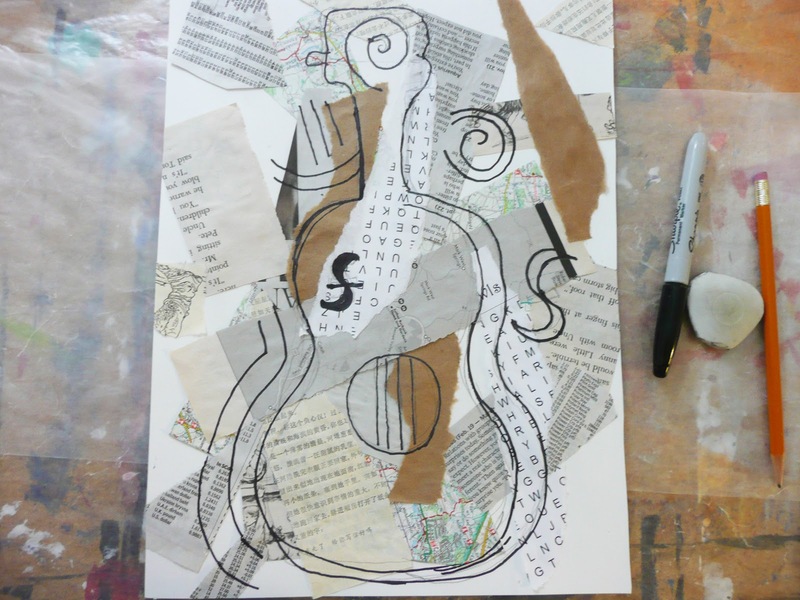 He made several collages from bits of paper and then added guitar and violin details. 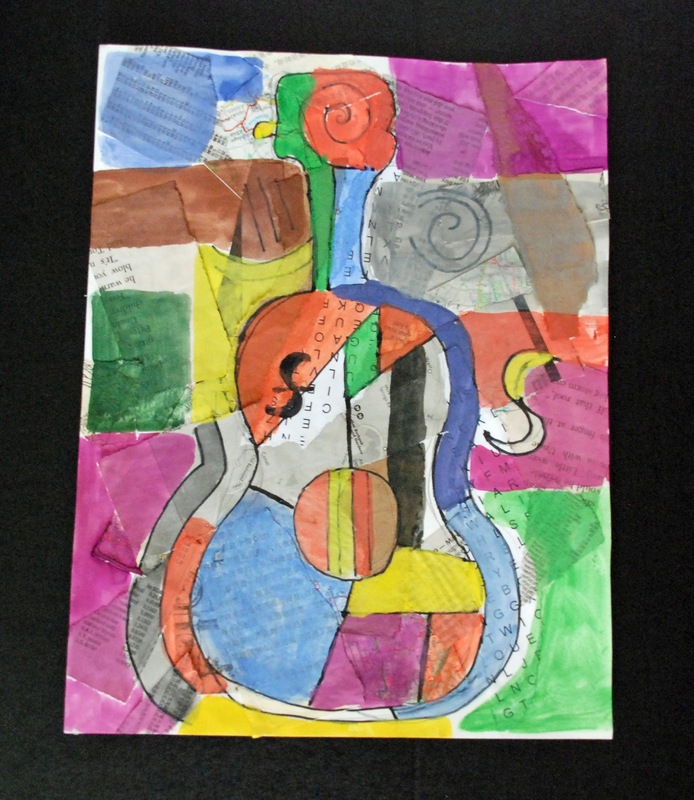 For our project we are first going to make the paper collage and then add paint and guitar details. Take your scraps of paper. 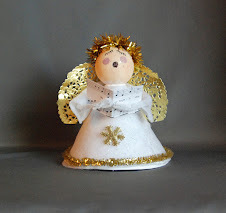 Tear and/or cut into pieces and start gluing onto your wc or heavy paper. You can go over the edges of your paper as we will trim them later. Let dry. Using a marker or pencil add in some guitar details. Maybe just pieces of the shape and the dominant parts of the instrument. Or you might want to do a full sketch. Now start adding color. 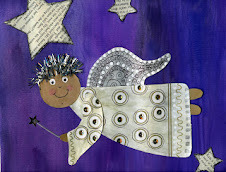 Using tempera paint and colored pencils block in color in different sections of the collage. Continue until you are pleased with the composition. 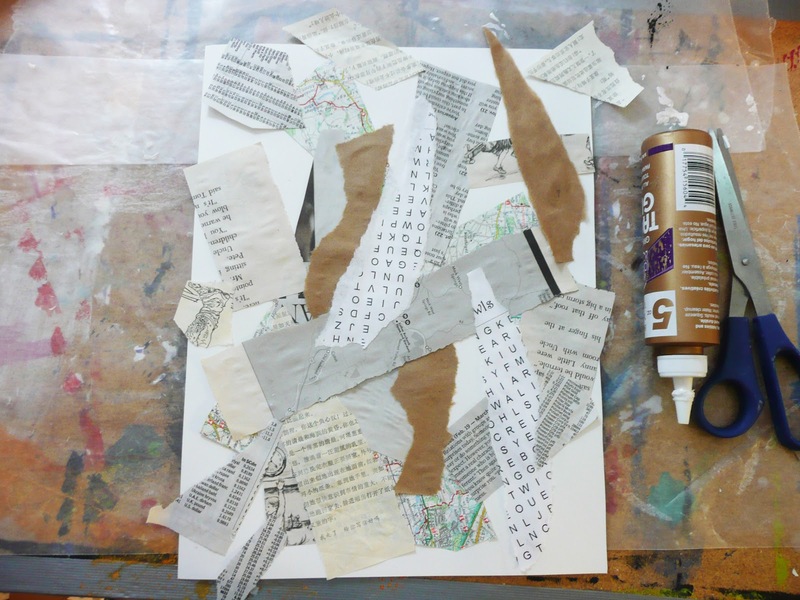 You don't have to fill every section and it is more visually appealing if you leave some areas untouched to show the collage papers. I just wanted to send you an email to enter for the soap making book. 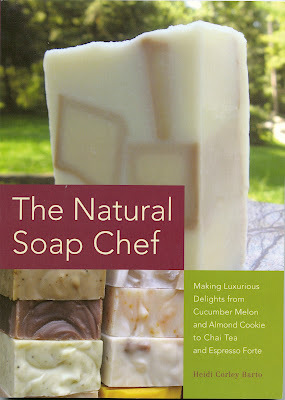 It looks so great and I've always wanted to try it. Thanks for doing this drawing! Congratulations! 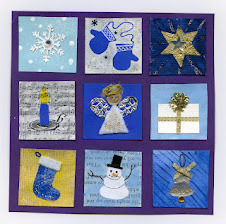 Thanks everyone for entering and have a great weekend. I'm off to the Calgary Stampede this afternoon and I'll have more for you next week. Yahoo! 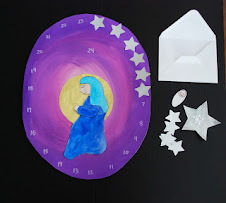 LOvely idea for a summer project with my son, thanks!